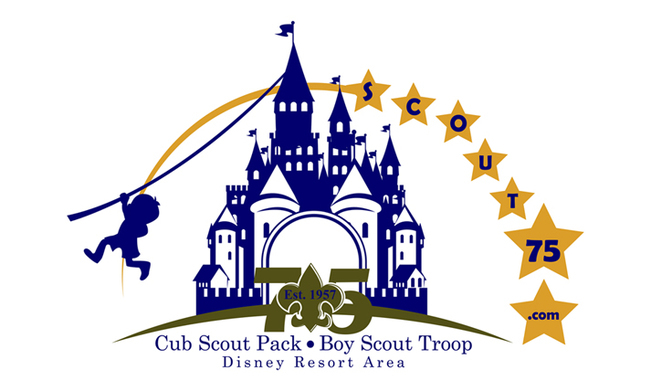 International Scouts Destination ~ Serving the Disney Resort Area for over 60 Years! ​Welcome to the Scout 75 Fest Online Silent Auction page. We have a silent auction on site from 8 to noon. Starting a week before the event, and ending also at noon is our online silent auction version. So for those that could not make the event, or just want to support scouting, here is a way to do so. For the event silent auction, payment for any won items must be made by cash, check, credit or debit card the day of the event after the silent auction closes. For the online silent auction, payment can be made either in person at the event or via credit or debit card on the online silent auction. All items from either the live auction, or the online silent auction must be picked up the day of the event or other arrangements made. No items will be shipped. There are always items that funds can help scouting with. Camp fees, hiking, and camping equipment, and more. Our new trailer search is under way, and will soon be unveiled. Read the story from abc news on how our trailer was stolen and damaged. The trailer contained about $5,000 worth of equipment. Fortunately due to the public awareness and outcry that someone would steal from the Boy Scouts, the trailer was returned. Unfortunately, between the time it was stolen and returned, the perpetrators had begun the process of trying to hide the trailer's identity. They scraped off the entire paint job and all the logos, emblems, sponsors, and names of over 120 Eagle Scouts that had been produced by Troop 75. To date because of the expense to fix the trailer it has still not been replaced. A new logo encompassing both the pack and troop has been developed. As part of the process the 120 Eagle Scout names that were on the back doors will be put back on, as well as those that never made it on to the trailer. In the future we plan on using the trailer more often and take it to elementary schools for recruitment, community service, and camping. Helping develop tomorrow's leaders for over 60 years! New Pack 75 & Troop 75 logo for our trailer, t-shirts, etc. New combined logo for Pack and Troop 75 that will be placed on both sides of trailer. Pack 75 - Troop 75 - Crew 75: A rich tradition for over 60 years has produced 134 Eagle Scouts!